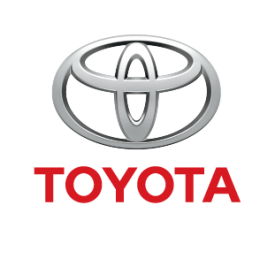 DALLAS – March 20, 2016 – On the heels of last year’s wildly successful partnership, Toyota and Competitor Group, Inc. (CGI), the organizer of the series, have renewed their partnership for 2016. The result? Toyota is again the official vehicle of the marathon series and title sponsor of the Toyota Rock ‘n’ Roll Concert Series. The concert series, a highlight of the race experience, features headliner performances at finish line festivals across the United States. The sponsorship connects marathon runners with Toyota’s innovative brand through unique onsite activations and digital media engagement. As part of the agreement, Toyota will continue to host the “Toyota Ride and Drive” at select pre-race Health & Fitness Expos, giving marathon runners an exclusive opportunity to experience a Toyota vehicle. The largest experiential sports platform in the active lifestyle industry, more than 600,000 professional and amateur athletes from around the world will participate in a Rock ‘n’ Roll Marathon Series event in 2016. The musically-themed races have spearheaded an active lifestyle movement that provides unique entertainment for people from all walks of life. For more information about the Rock ‘n’ Roll Marathon Series, visit RunRocknRoll.com or follow @RunRocknRoll on Twitter. Toyota (NYSE:TM), the world’s top automaker and creator of the Prius and the Mirai fuel cell vehicle, is committed to building vehicles for the way people live through our Toyota, Lexus and Scion brands. Over the past 50 years, we’ve built more than 30 million cars and trucks in North America, where we operate 14 manufacturing plants (10 in the U.S.) and directly employ more than 44,000 people (more than 34,000 in the U.S.). Our 1,800 North American dealerships (1,500 in the U.S.) sold more than 2.8 million cars and trucks (nearly 2.5 million in the U.S.) in 2015 – and about 80 percent of all Toyota vehicles sold over the past 20 years are still on the road today. With more than 600,000 runners taking part in 30 destination events around the world every year, more runners choose the Rock ‘n’ Roll Marathon Series than any other running series. Established in 1998, Rock ‘n’ Roll Marathon Series’ simple idea of making running fun has transformed the U.S. running landscape by infusing the course with live bands, cheer teams and entertaining water stations, creating a block-party atmosphere for participants and spectators alike. Over the 19-year history of the Rock ‘n’ Roll Marathon Series, charity partners have raised more than $320 million through the events for a variety of worthy causes. Race weekend kicks off with a free Health & Fitness Expo showcasing the latest in running gear, sports apparel, health and nutritional information and much more. Events culminate with an entertaining finish line festival and Toyota Rock ‘n’ Roll Concert Series featuring some of the biggest names in music, with past headliners including Kid Rock, Rascal Flatts, Macklemore & Ryan Lewis, Pitbull, FloRida and Andy Grammer. Further information about the Rock ‘n’ Roll Marathon Series can be found online at RunRocknRoll.com.